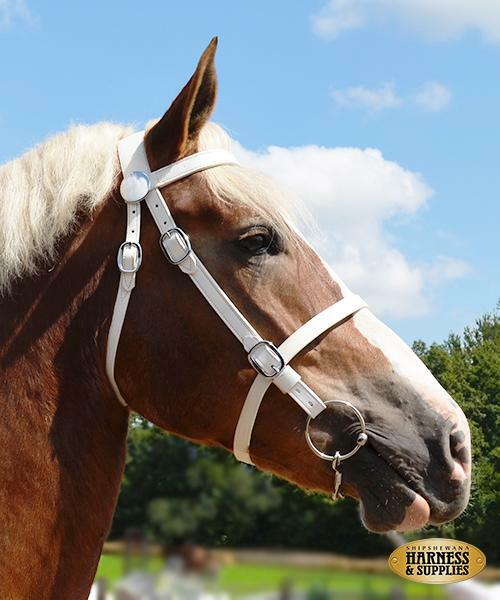 White leather bridle with 50" white leather lead and 20" chain. Comes standard with chrome hardware and bit. Adjustable connector strap - 29" to 33"
Dark Show Bridle with bit and lead.